Fill in your details below and we will let you know within 24 hours if we can get Monolith Arena to you with haste! The Monoliths Call for Battle and Bloodshed! The primeval Monoliths, older than the oldest chronicles and songs. These holy stones' thirst for the blood of warriors is never quenched. Whenever the blood-red comet adorns the sky, the greatest warriors from the distant corners of the world gather to fight in the deadly olympics. Whoever you are, however far you've traveled, you are free to join the competition with your team and challenge the champions of the arena. 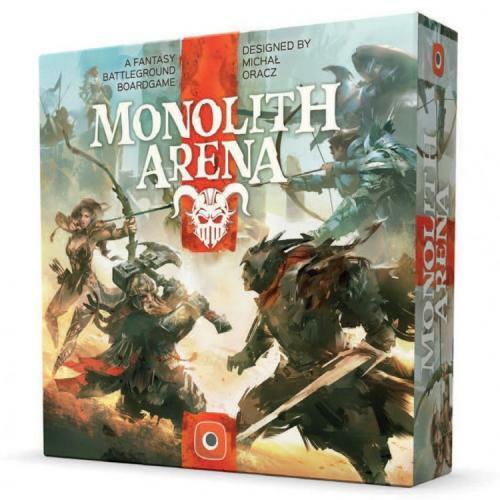 Monolith Arena is a tactical game in which campions from different factions clash with one another upon the arena grounds. During the game, players attack the Champions and Banner of the enemy faction. The goal of the game is to eliminate the other player's Banner. The player who decreases the enemy Banner hit points to 0 wins the game! Four Unique Factions Fight it Out! The Dragon Empire is the most prominent among all human kingdoms. Its best warriors fight in the arena united under one banner, with the Emperor's name on their lips. They spill blood for him. They don't hesitate to give their lives for him. Under his rule the engineers developed the secrets of gunpowder, terrifying for those ignorant of its power. Under his command, powerful magic is bounf by ancient spells, and dragons are bought under submission. Each win and each defeat - it's all in the name of the Emperor.